Novak Djokovic defeated Rafael Nadal 6-3, 6-2, 6-3 in a one-sided final at the Rod Laver Arena yesterday. It was Djokovic’s 7th Australian Open and 15th Grand Slam title overall. He is still two behind Nadal and five behind Roger Federer in terms of winning Majors. 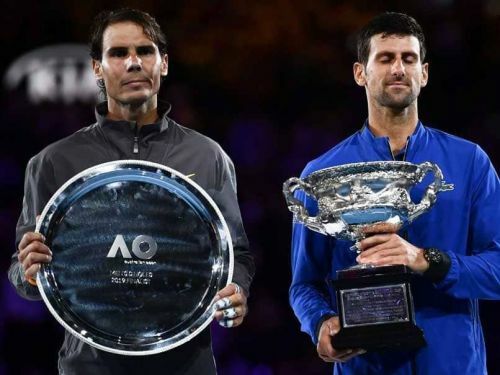 Djokovic took only around two hours in dismantling Nadal in one of the most dominating displays in the final of any Grand Slam in the modern era. Nadal had not lost any set in the tournament before the final, but could not win any in it. Tennis lovers had expected a much tighter contest between the arch-rivals, but Djokovic’s flawless display made the final a lop-sided affair from the very beginning. Djokovic broke Nadal in the second game of the first set and then held his serve again to open up a 3-0 lead. He never looked back after that and Nadal could not break his serve even once during the match. He has now won 3 Grand Slams on the trot and would fancy his chances of eclipsing Federer’s record tally in the next few years. Nadal, meanwhile, stayed on 17 Slams himself and should still start as the favorite at Roland Garros, his second home. 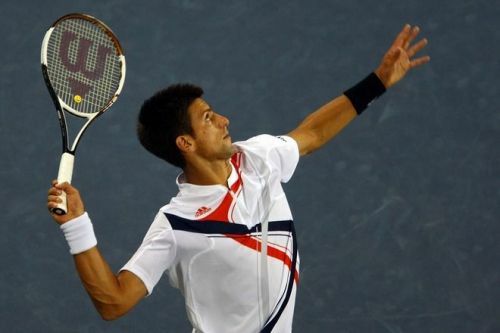 Djokovic is not known to have a particularly strong serve and is usually lauded for his exceptional return of service. However, he served exceedingly well yesterday and did not allow Nadal any leeway in his service games. Even a great returner like Nadal failed to break Djokovic even once and the latter had virtually no problem in holding his serve. Djokovic had a first serve success percentage of 72% during the match and committed no double fault. He also hit 8 aces and won 40 points out of 50 on his serve. He has definitely improved his serve during the last year or so, and it is difficult to believe that he underwent a major surgery only 12 months ago. Nadal got only one break point in the whole match, but failed to convert it. Djokovic also served 3 aces in the last game of the second set to take the match away from Nadal. He does not have a booming serve in his repertoire, but its positioning and accuracy was enough to keep a seasoned campaigner like Nadal at bay.